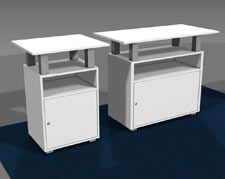 The V counters come in 2 standard sizes, but we can always custom build to your unique specifications. 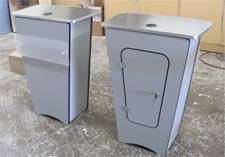 See below for the standard sizes. 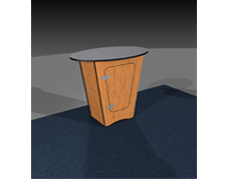 The V counter is made from ¾” Domestic plywood and laminated in either ABS or High Pressure Laminate in your choice of many different colors. 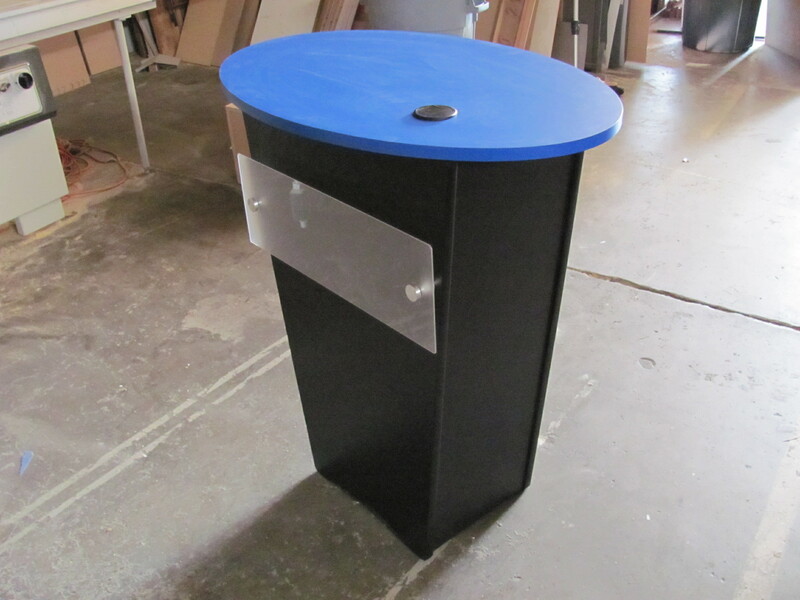 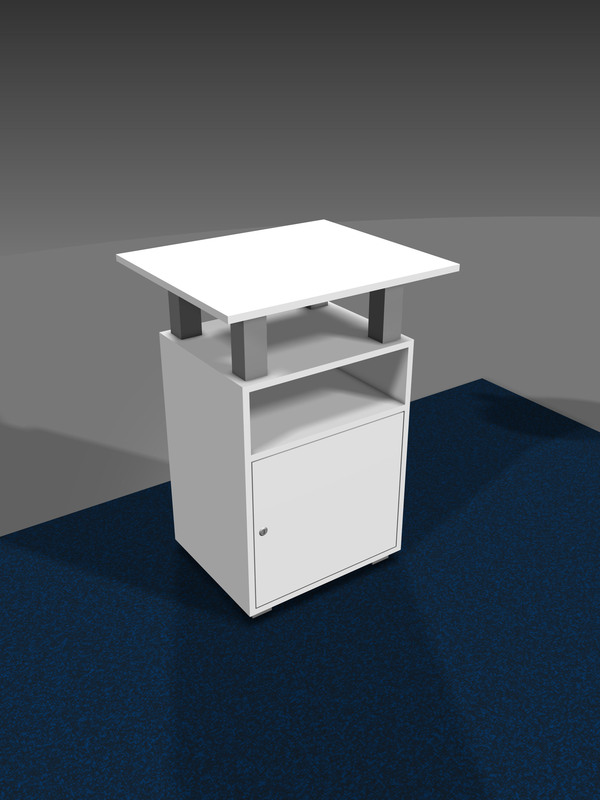 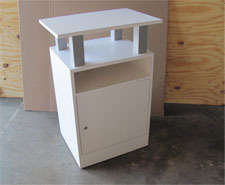 The V counter comes standard with a locking door and 2 interior shelves. 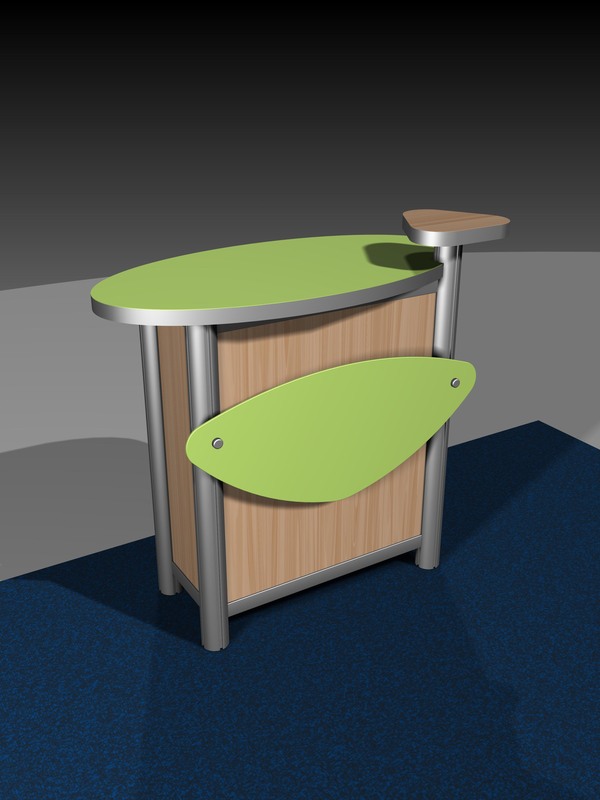 Wire management grommet in the top is provided as standard equipment on all of our counters. 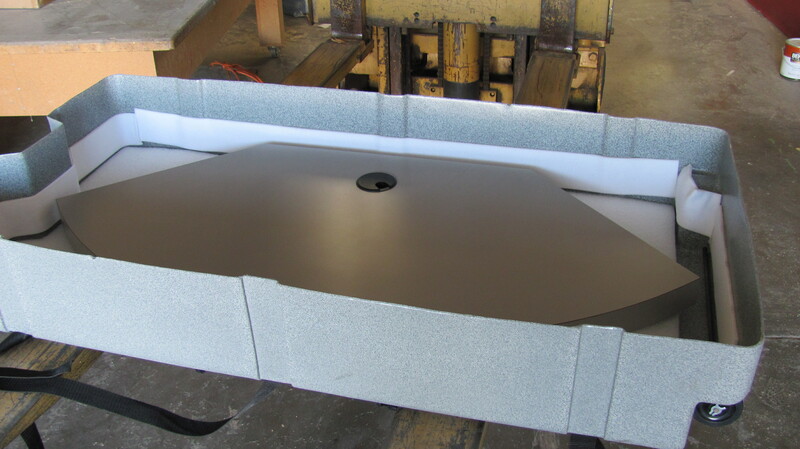 The V counters disassemble for shipping and require no tools. 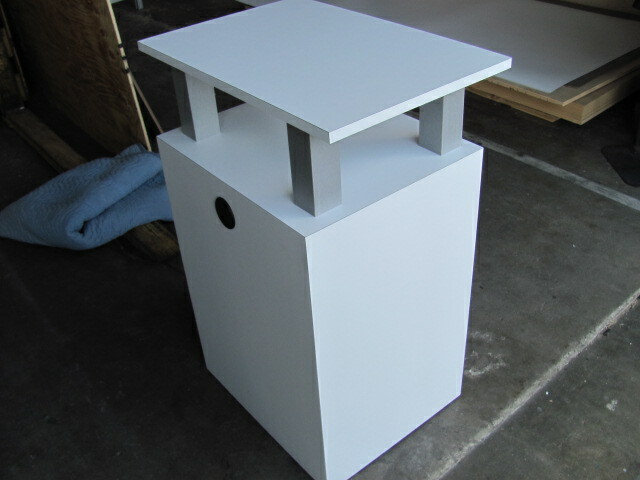 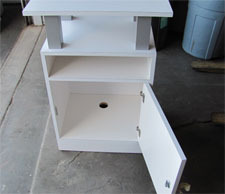 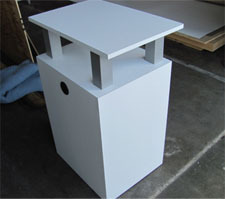 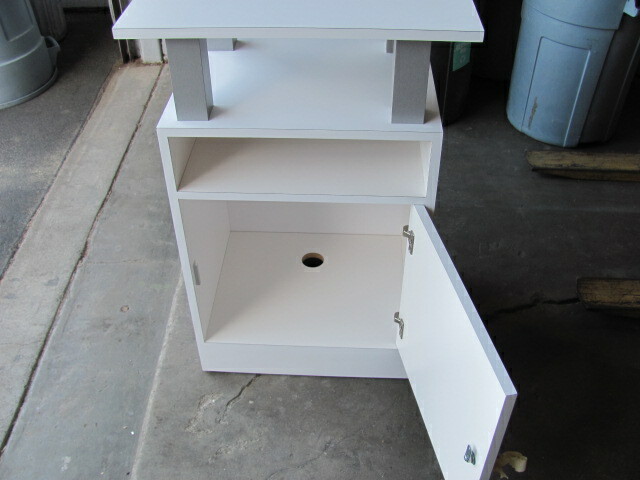 Assembly is accomplished with Thumb Screws hidden on the interior of the counter. 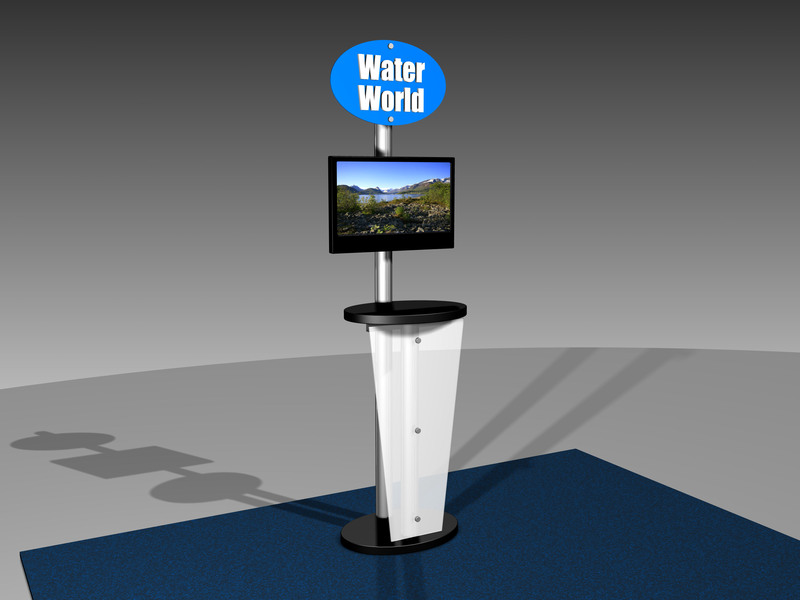 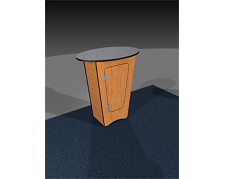 Standard on all of the V counters is a frosted Acrylic graphics panel that attaches to the front of the counter with 1 ¼” diameter aluminum stand-offs. 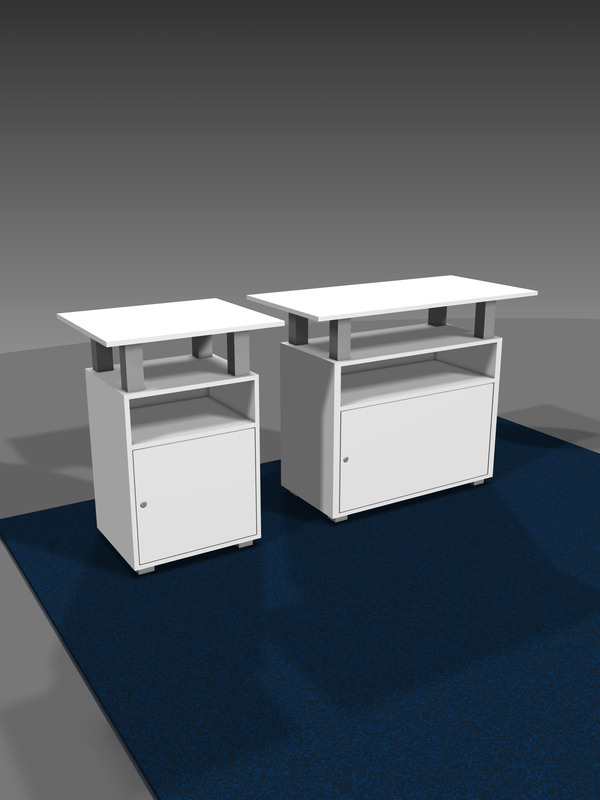 The Work Station Display Cabinet comes in 2 sizes standard, but we can always custom build to your unique specifications. See below for the standard sizes. 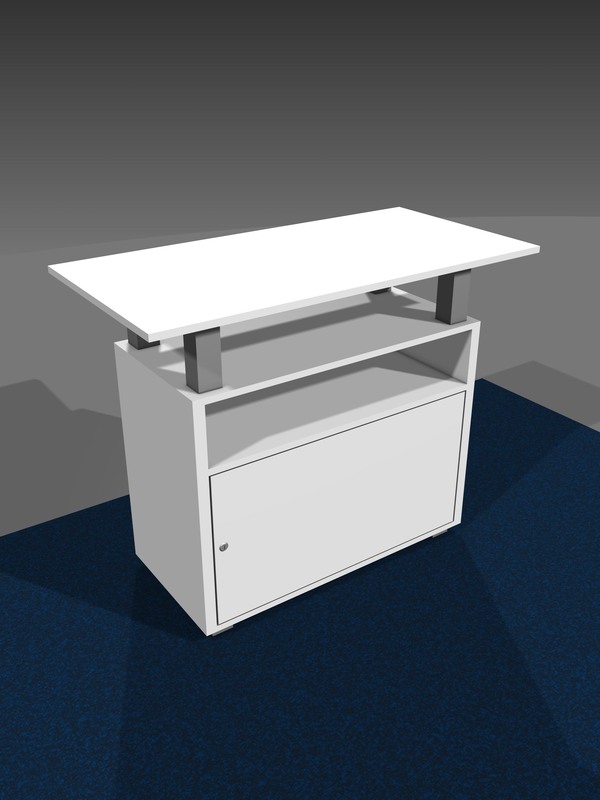 The Work Station Display Cabinet is made from ¾” Melamine and laminated on the outside with High Pressure Plastic Laminate. 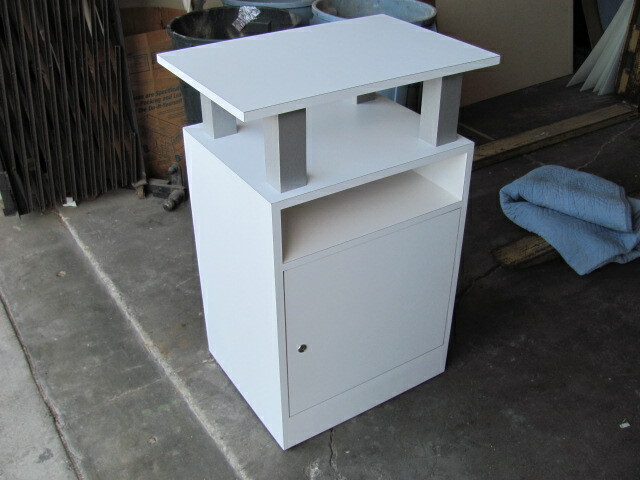 It original purpose was to house a CPU, key board and monitor on the top. 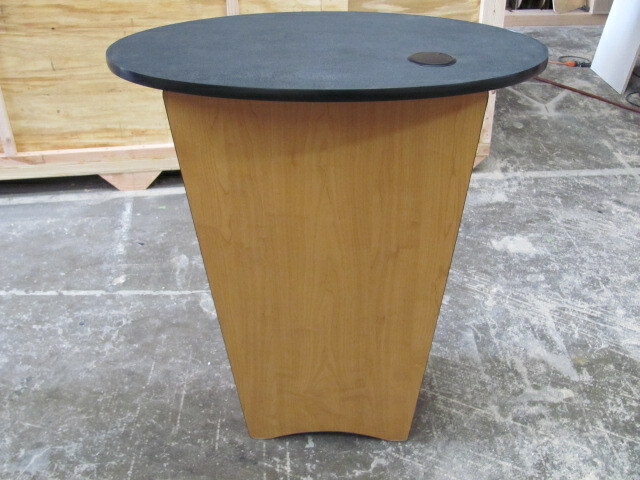 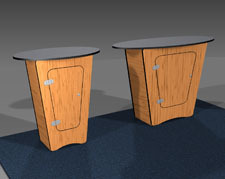 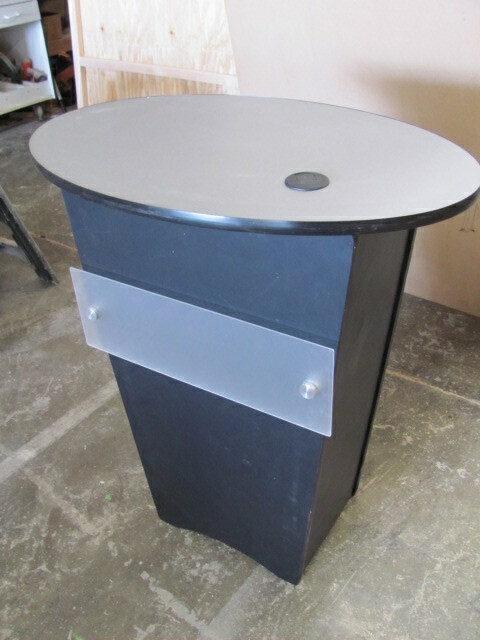 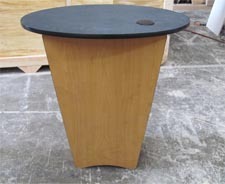 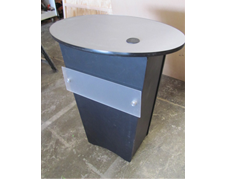 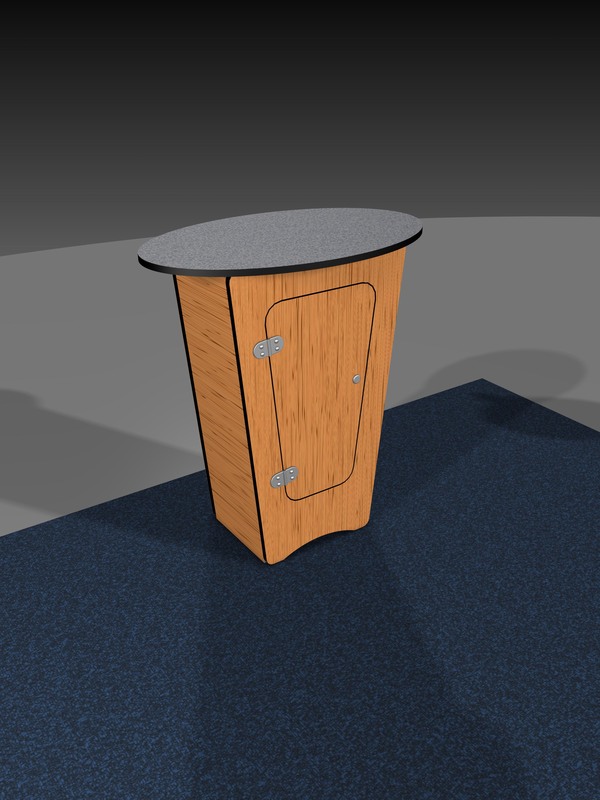 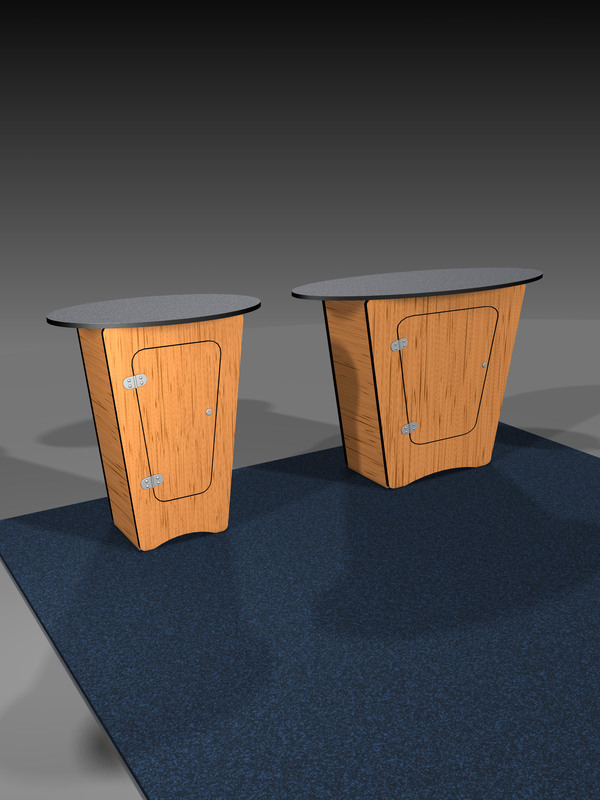 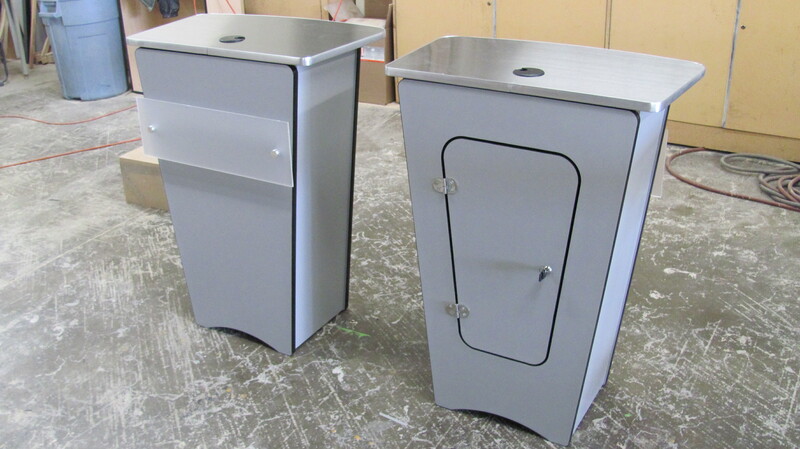 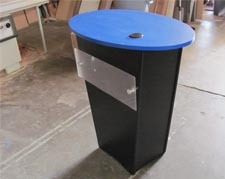 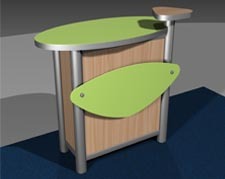 This versatile cabinet could be used for a reception counter, or a product display. 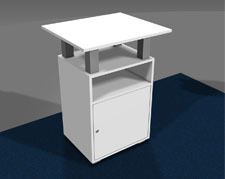 It comes standard with a locking door and wire management grommets placed in the top and back. 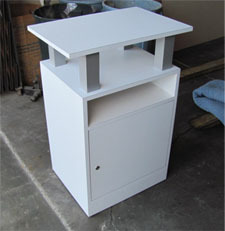 GreveCo. 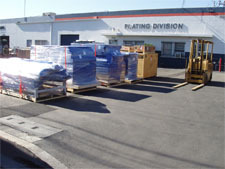 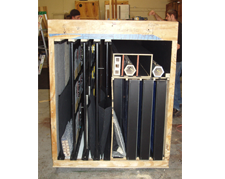 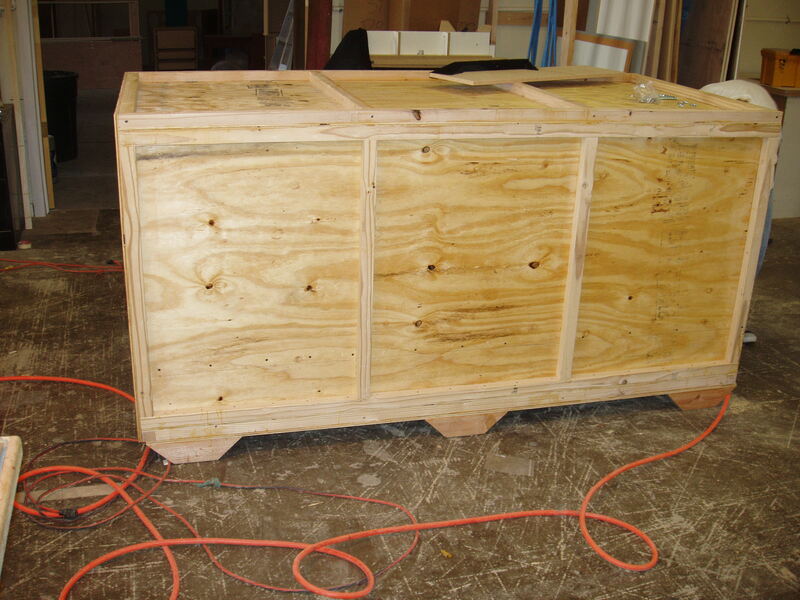 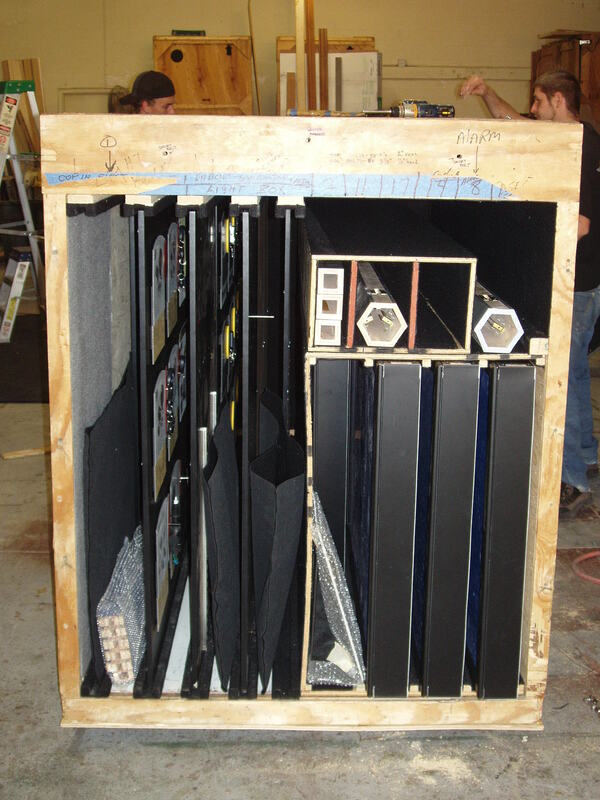 Displays and Exhibits builds custom shipping crates and cases that last. 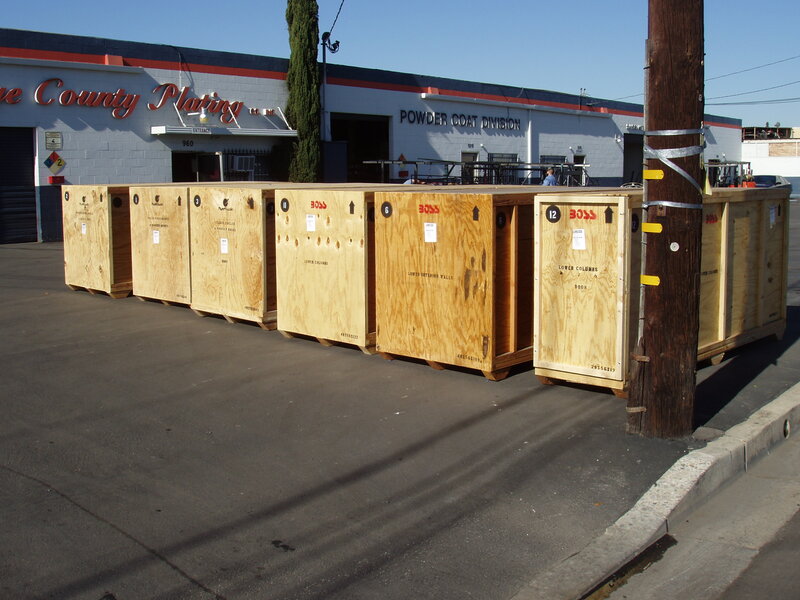 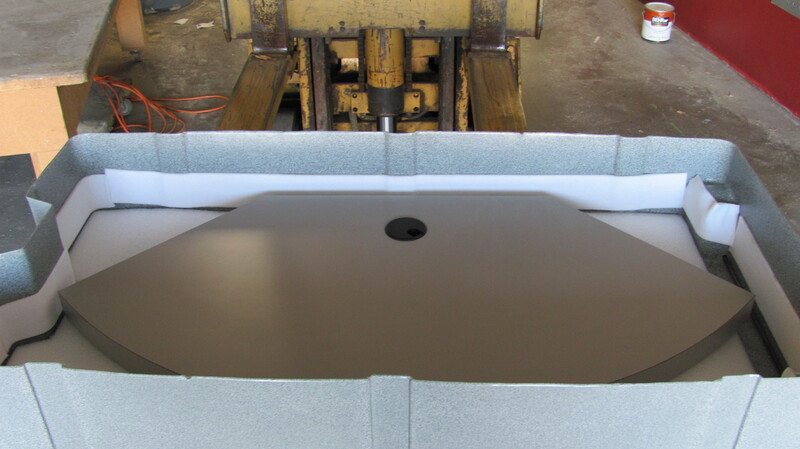 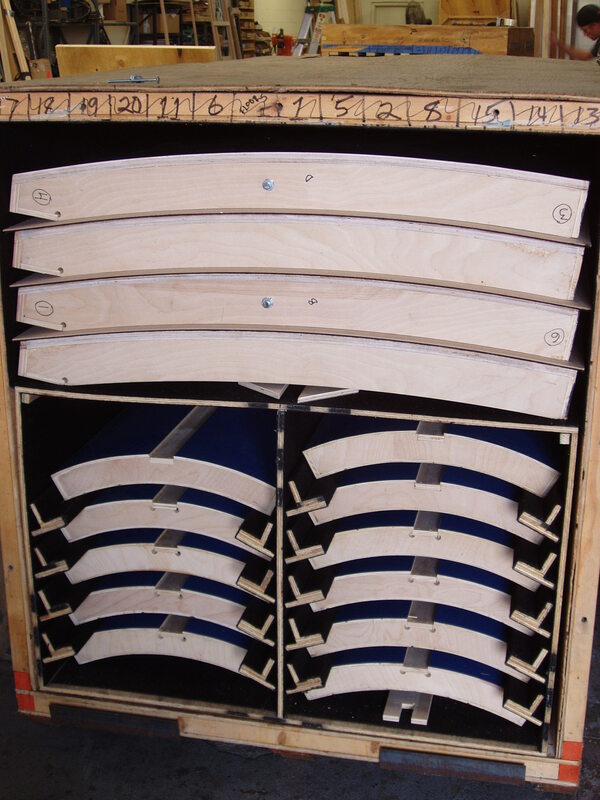 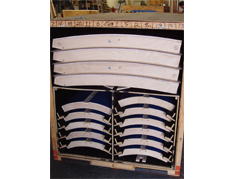 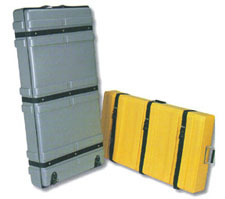 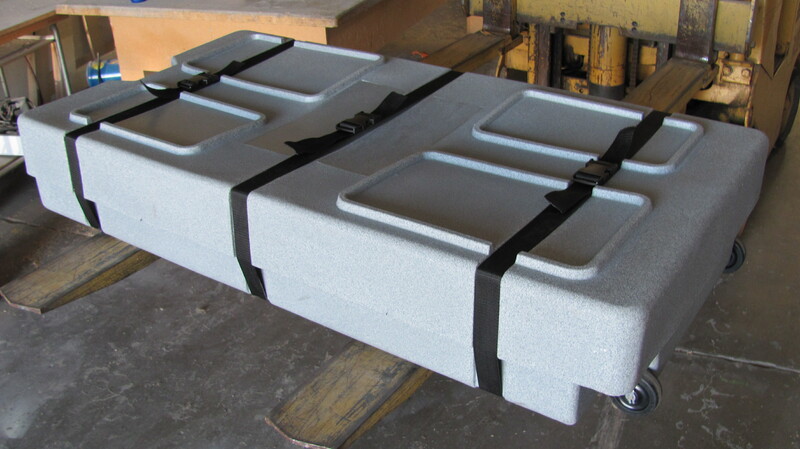 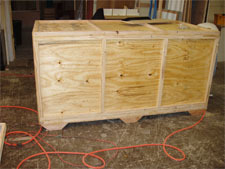 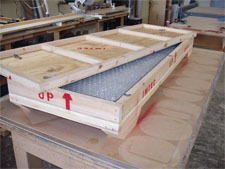 All crates include interior padding and Jacking to hold your display in place and protected from damage during shipping. 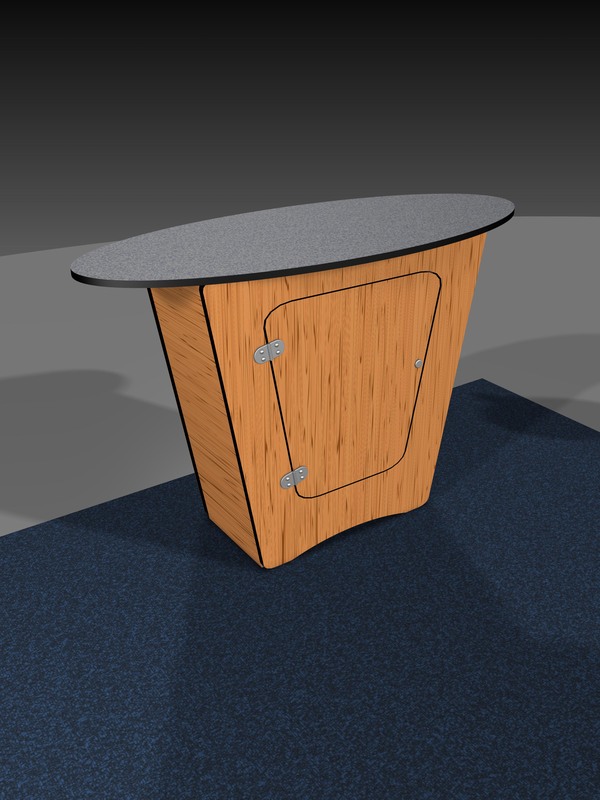 Scroll to see some of the examples.